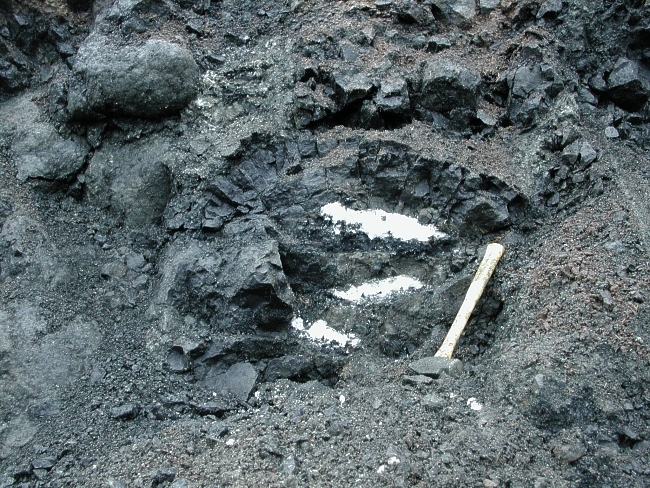 Exposure of the Crescent Formation near Dayton is comprised primarily of black pillow basalt that has been altered to a low grade (sub-greenschist facies) metabasalt. 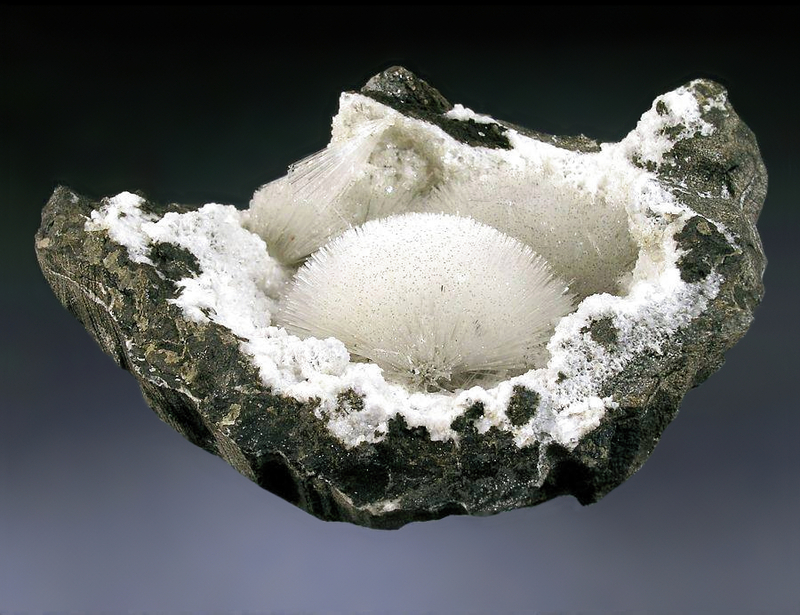 Centimeter to decimeter scale zeolite filled vugs are found within the interiors of individual pillows and along planar trends parallel to flow contacts. Contact quarry operator for current collecting status. 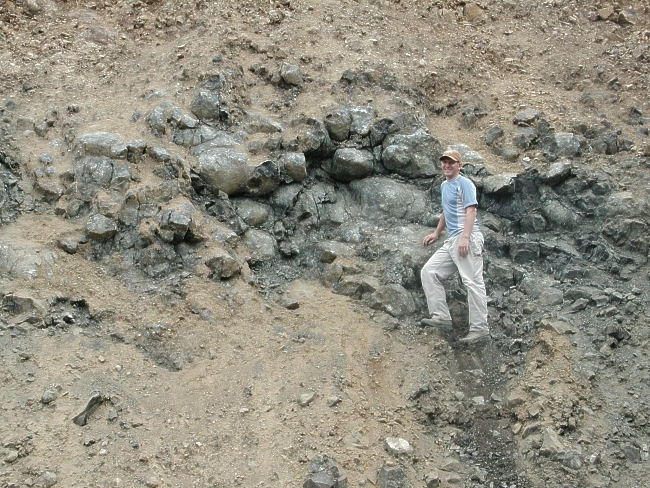 Interest in this quarry as a world-class mineral locality first began in 1988, with an article published by Raymond Lasmanis in the Rocks & Minerals, January/February 1988 issue (see full reference below). *Analcime- NaAlSi2O6 . 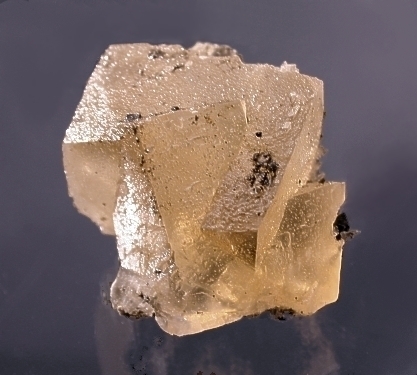 H2O - Occurs as small colorless trapezohedral crystlas lining some amygdules. 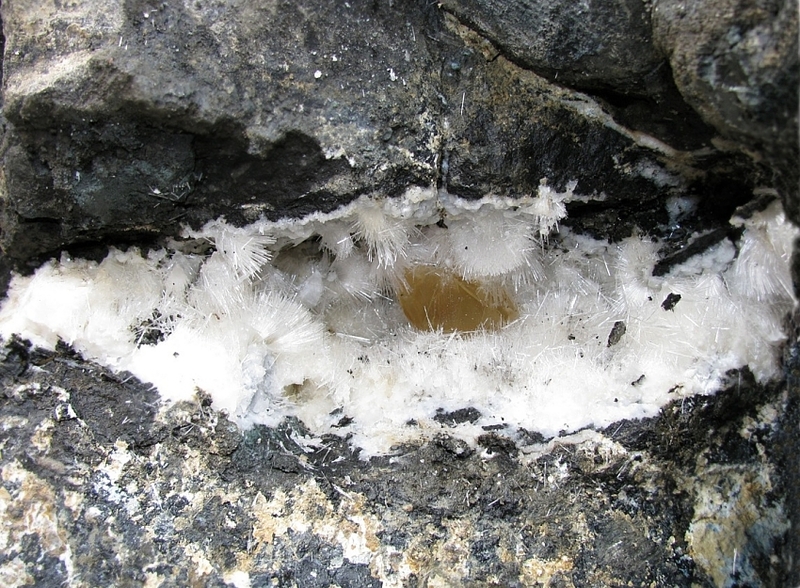 Transparent crystals turn opaque when removed from the ground due to dehydration. 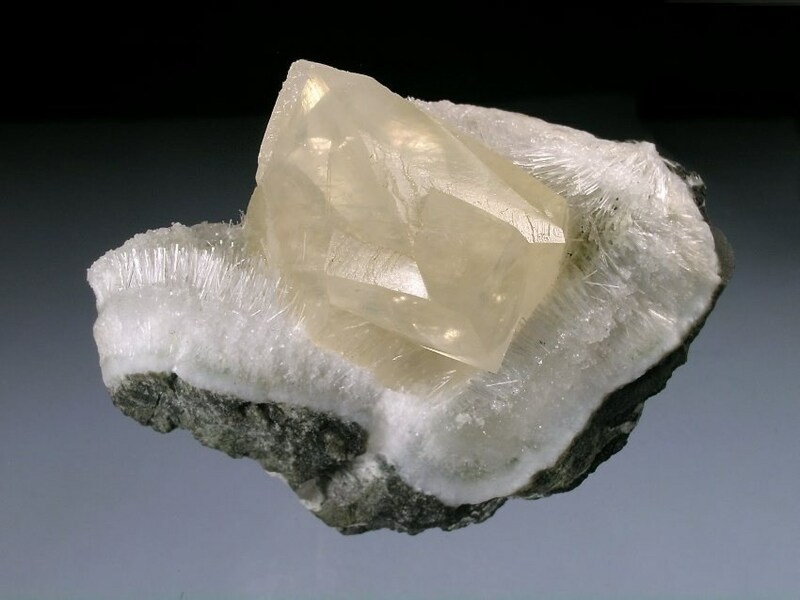 *Apophyllite- (K,Na)Ca4Si8O20(F,OH) - 8H2O - Occurs as translucent crystals to 1". 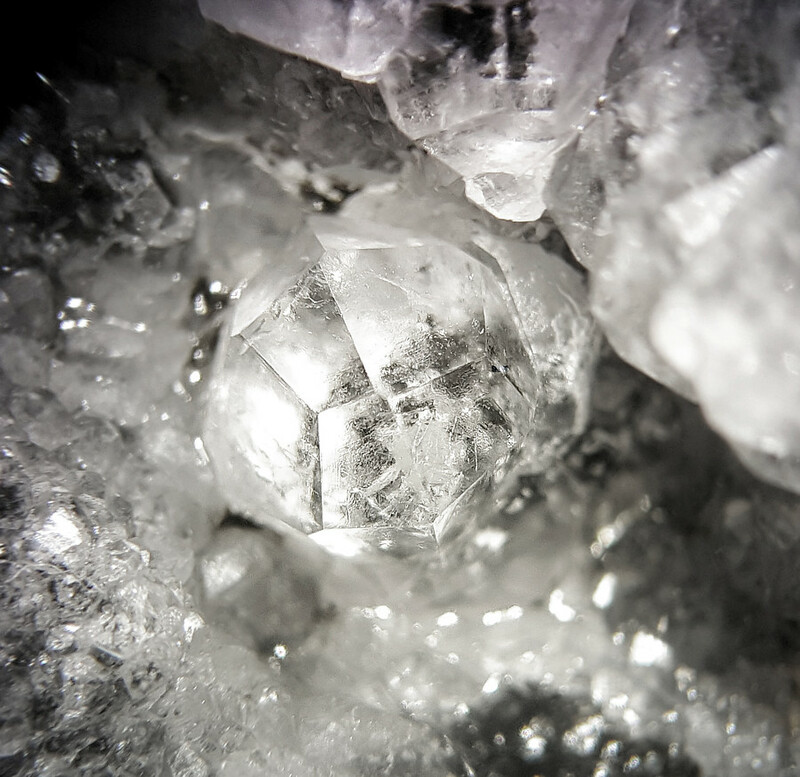 Small crystals appear cubic due to absence or pyramidal faces. 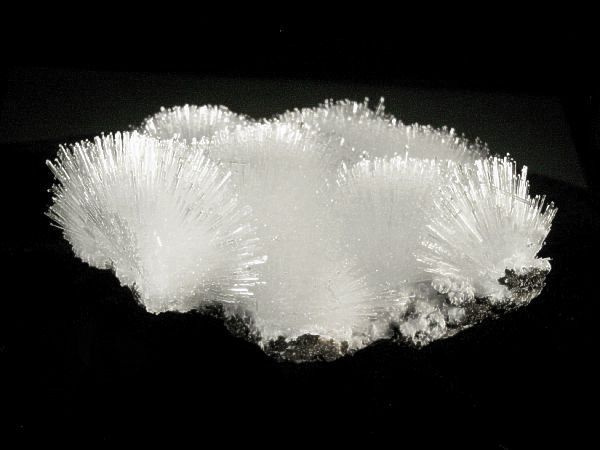 Crystals turn opaque white due to dehydration. 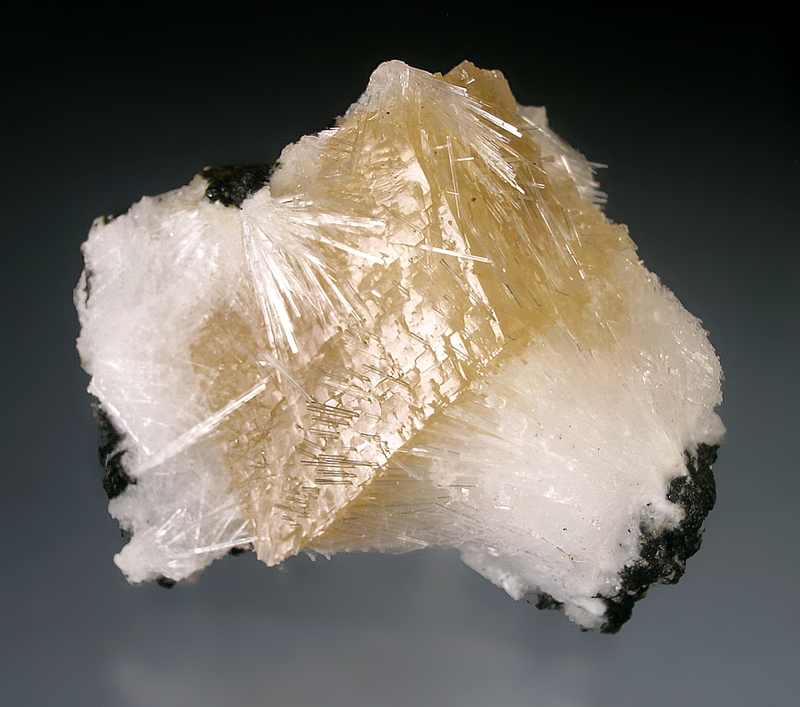 *Calcite- CaCO3 - Occurs as beautiful tea-colored rhombohedral crystals. Twins are common. 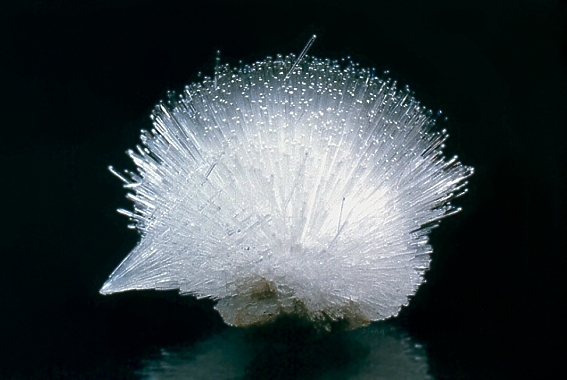 Crystals are found in vugs associated with natrolite and/or analcime. 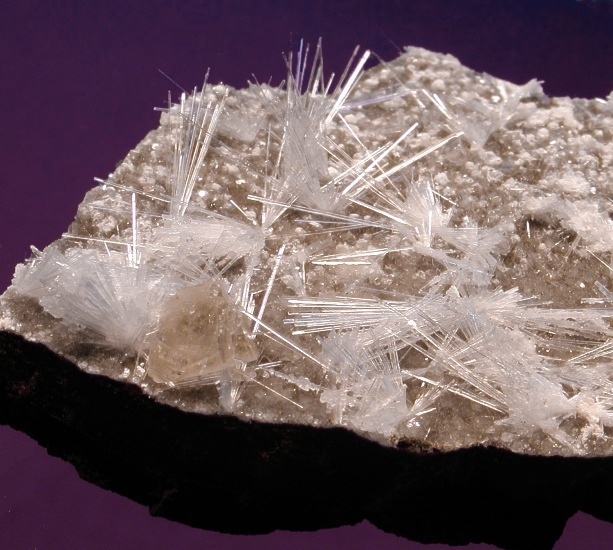 Crystals are phosphorescent under short- and long-wave ultraviolet light. 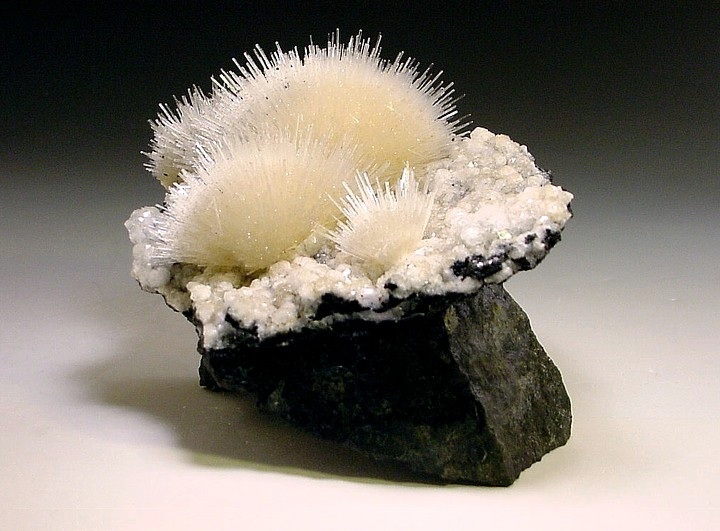 Chlorite- (Mg,Fe)3(Si,Al)4(Mg,Fe)3O10(OH)8 - Massive chlorite occurs interstitial to individual pillows and as matrix grains within the metabasalt. 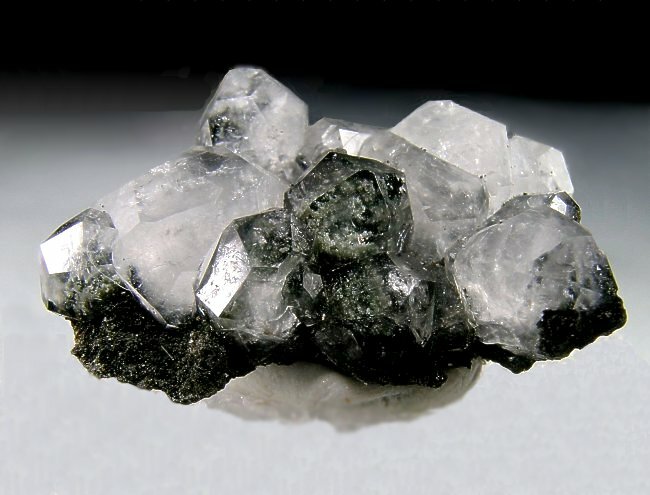 Chlorite is a product of low-grade metamorphism. 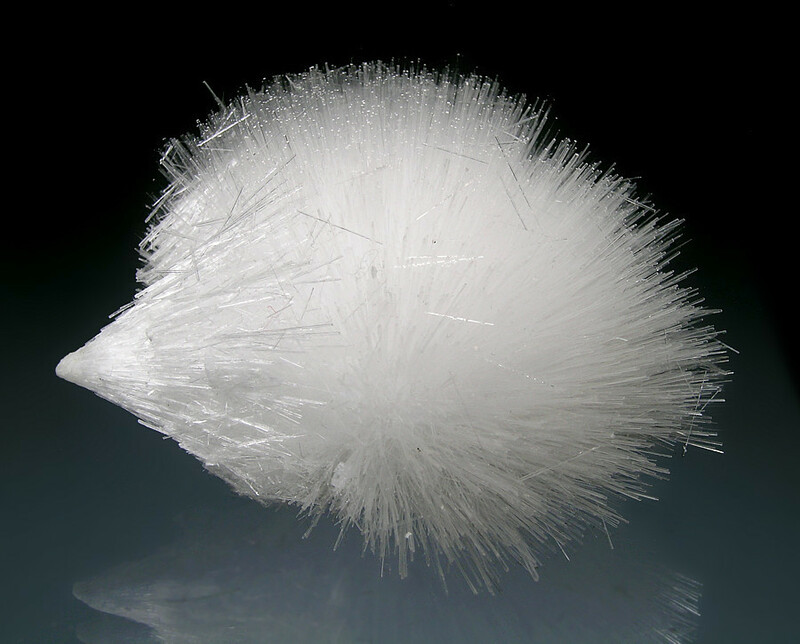 Mesolite- Na2Ca2Al6Si9O30 - 8H2O - Occurs as fine fiber-like sprays with individual needles to 1"
*Natrolite- Na2Al2Si3O10 . 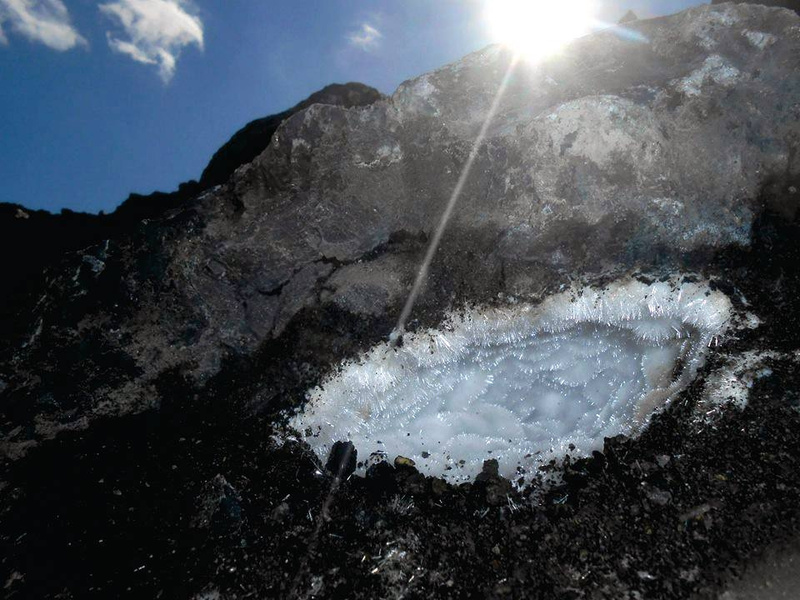 2H2O - Occurs as radiating crystal groups lining large pockets up to several feet long. 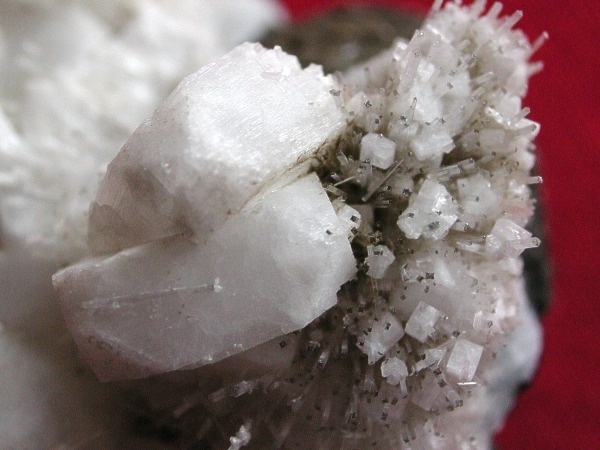 Some natrolite pockets also contain a late stage clay mineral that coats the needles. Some pockets are completely filled with laminated clay. 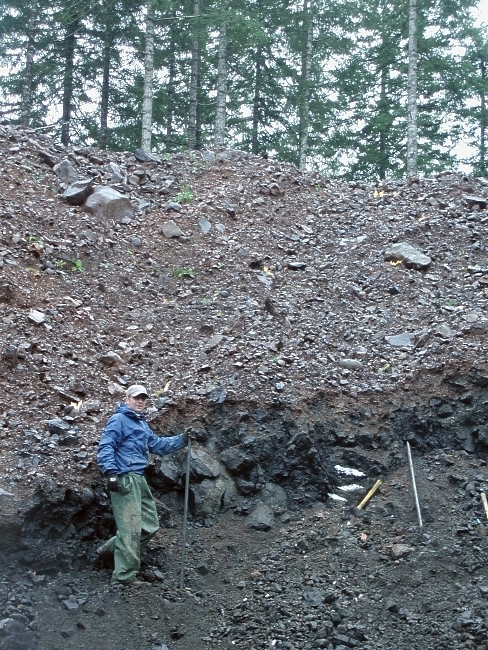 Pyrite- FeS2 - Occurs as mm-sized disseminated grains in altered basalt adjacent to amygdules. 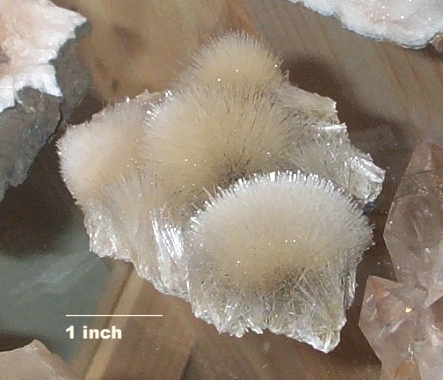 Lasmanis, Raymond (January, February 1988) Minerals of the Crescent Formation, Robertson Pit, Mason County, Washington. Rocks & Minerals. 63(01), 25-30.